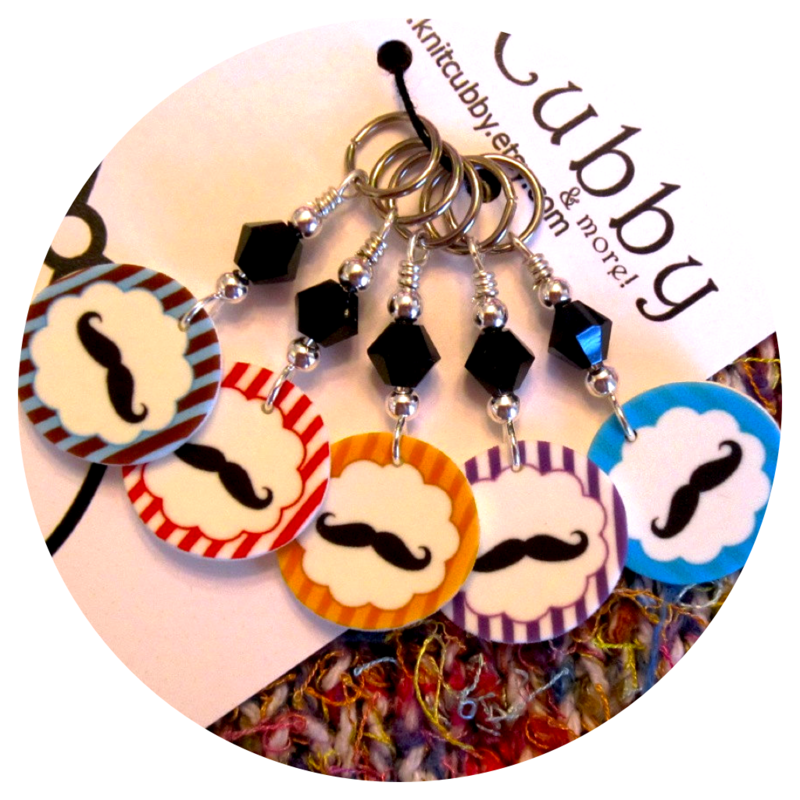 A SET OF MUSTACHE STITCH MARKERS FROM KNITCUBBY!!!! Look at ’em! Ain’t they super properly neat!? When the winners are announced, Brittanny will send a set of these out to the lucky knitter who snags ’em. And I hope you’ll become a KnitCubby addict like me (check out my review here). I totally adore these stitch markers and Brittanny has become a huge supporter of The Shy Lion, which I’m so grateful for. So! If you want to win these markers (or any of the other prizes to be revealed), stay tuned for the giveaway details. And a huge thank you to Brittanny of KnitCubby for her generosity Y’all should show her some love by checking out her store on Etsy, here! All image credits for this post go to Brittany/KnitCubby. These are used for illustration only, and may not be the actual set given as a gift. Wanna Learn the Magic Ring? I’ll Show You!! A Book Is A Thing I Can Give You, Hurray! PRIZE REVEAL! How adorable are these! Very classy. Oh my goodness…these are fantastic!!! A little in love with these! Looking forward to this! 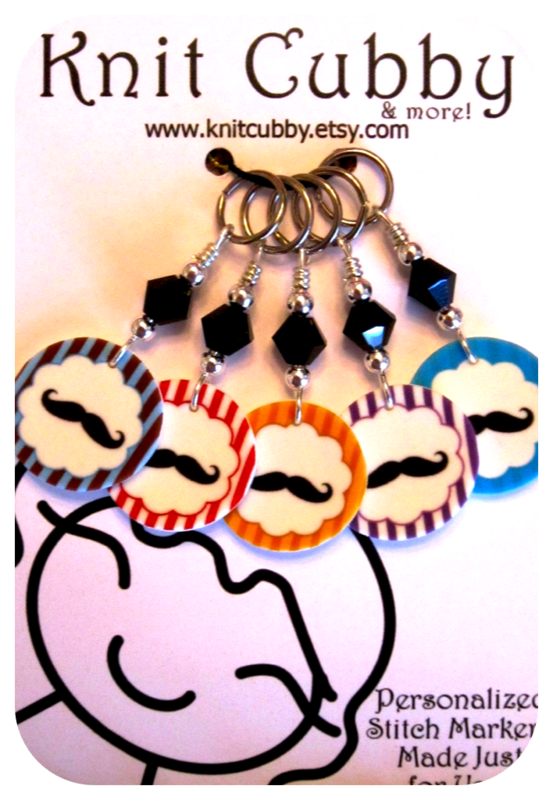 I have been coveting those little ‘staches for a while now!